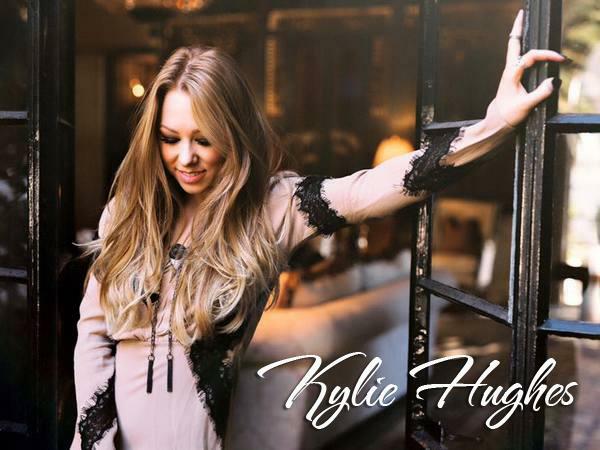 Join us this week as we welcome Pop music singer songwriter, Kylie Hughes. Based in Malibu, CA., A Pepperdine graduate, Kylie has many musical accomplishments under her belt, having gigged both with her band and performed solo acoustic sets in numerous Hollywood hotspots (Viper Room, Hotel Café, House of Blues), and local clubs in and around Malibu (Malibu Inn, Sunset Lounge, Canyon Club). Additionally, the pop songstress also sang the National Anthem before a concert by John Mayer at the California Mid-State Fair; shared the stage with The Beach Boys in Thousand Oaks, CA and with Jewel in Napa, CA; played at the Cantinas Music Festival in Paso Robles, CA on a bill with Newsboys and MercyMe; and performed a duet in 2013 at Carnegie Hall with Michael W. Smith. In 2014 Kylie entered the music scene with the release of her EP "Calipopicana". Her passion for spontaneous adventure and obvious musical talent quickly earned the songstress attention from fans and critics. Kylie is currently working on a new album release for early 2017. Her latest single and music video "Take Me Anywhere" takes you along on a road trip to some of her favorite places in California and even some places she had never been before. The “Take Me Anywhere” video follows her previous video for her single “Never Ever.” We will talk to Kylie about her upcoming schedule, get a behind the scenes look at her music, feature her latest songs, and ask her to share her message for the troops. Please be sure to visit Kylie Hughes at http://www.kyliehughesmusic.com/ and spread the word. Fans are welcome to call in and speak live with Kylie during the show (718) 766-4193. And as always we will give shout outs to our deployed military listeners. Our message to the troops: WE do what we do, because YOU do what you do.